In a world that I am building, there are two countries that both are fairly primitive and only have medieval methods of transportation. They have a huge meeting every 100 years. Other than that, they don't visit each other often, except during huge international crises. They have a five thousand miles wild desert between each other, and one road that is rarely ever traversed. This gap has hardly any civilization except for one enormous city right in the middle of the road. Now that's my issue. This city is thousands of miles away from any other civilization. I want this city-state to be self-supported. But how would this city get there? How could it survive without anything except a few fruit trees, and a small freshwater lake? This city-state is also thriving. How could this city-state grow its resources to support thousands of people? Remember, these people do not have any advanced technology or magic. Can I have some answers to these questions? You have mostly answered your own question within the question itself. In fact, you did so near the end, using some of the same ideas that I was thinking of as I read through it. There have been many settlements, cities even, located in deserts, even in ancient times. Check out Palmyra, Masada, and even Egypt (an entire nation, not just a city). There are many other groups of people who have lived in the desert and established villages or cities around water sources. Some of them, even in old times, extracted their water from underground. We need to rid ourselves of the false notion that desert means nothing but sand everywhere and nowhere for water to collect. Even in the middle of a desert it is possible to dig wells. You can even keep the "desert is a bunch of sand" notion for most of the desert for visual effect but have other formations interrupt it, or have the sand be only so deep and water collecting underneath. Palmyra was more like the city in your setting, connecting the lands on the opposite sides. The linked article above talks about how the city was on a trade route between them and how it was a cultural blend. Masada is known more for its defensive capabilities, and indeed it was famously used for protection. Not the same as your situation, but it demonstrates the ability of people to live in the desert. Your people would have it much better than Masada in a lot of ways, not just the lack of war. Egypt is a great example for your consideration because it was made possible by the Nile river. The Nile river would periodically flood, watering an even larger area, but also people would redirect some of its waters where they needed. This is a great parallel to what you could do with your lake, especially if you included any rivers flowing into or out of it. They have a lake nearby, good. Make sure the lake is big enough to supply all the water needed and that the lake itself gets resupplied somehow, then water is covered. The answer to the lake water needs to be more than a simple "'Cuz rain" since it's in a desert. I thought of a river, but then you get the question "Why don't people live all along the river, or better yet come down the river by boat instead of walking the desert," so the water should come from underground or the river should not reach to waterways that extend by rivers or oceans to the rest of the world. If the underground water is merely an ancient, trapped reservoir then it will eventually be depleted. You can either use this to supply a crises at some point, or you can say the underground water is a flow of water such as an underground river. The people living in the city might not even know where the water comes from; they don't need to know that the underground water flow exists. If it is an above ground river, think of the Mississippi river. That starts off as a lot of very tiny streams of water at higher elevation which keep combining until they form a huge river. In your case, the Mississippi river would reach to the end of your desert, so you either need to decide that this is fine, that the waters come from outside the desert, or you need to scale it down. I would suggest that you have tiny tributaries just outside the desert feeding into it and merging farther into the desert. The smaller waterways could be unusable by boat, and you could have a stretch of large river that is anywhere from 100 to a thousand miles long in the middle of the desert that empties into the lake. With this option, most of your farming would take place along the river leading to the lake, and the trees could grow around the lake. Both the food and building supplies come from growing plants. Even if the people do not need as much food or water as we do, as you claim, they still likely need more than "a few trees." Fortunately, you have a water source that you can use for farming. If fed by a water flow, either above or below ground, you can make the amount of water be anything you want, so you can make the lake it empties into support any amount of trees or farming that you desire. You could have 100 trees or even a thousand or more, heck, you could have a forest in the middle of the desert, a forest fed not by rain but by the water that comes in underground into your lake. The people probably irrigate and grow whatever crops they desire, and they probably tend to the trees to make sure they have enough for what they need. So your people have food, water, and they have shelter and whatever else they can make out of wood. Sounds like you're set as far as survival is concerned. For other things beyond survival, such as iron tools, they can trade for those. This will work even with the very irregular contact with the outside that you specify as iron tools can last a very, very long time. I still use some tools that belonged to my grandfather, and I don't know if he got them new or if they were passed down to him too. Iron tools can last hundreds of years if they are not left to rust. In order to have a city, you also need people, obviously. That is an easier part; you can just say that the road came first, built by the nomads who crossed the desert, and the city sprang up later when the lake and the few original trees around it were discovered. Note that the city probably started as just a few people staying near the lake they found and starting to garden at its shores. As those few people developed the land by irrigating and planting more trees and vegetables and building some permanent buildings, then other nomads may have joined them. Usually breaking the habits of those around you (in this case, being nomadic) is done by few people, then later others join them if they prove successful. And now you have everything you need available to the middle of that desert for a medieval setting. Put a big mountain close to your city. Or, better said a volcano, because an isolated mountain would be too strange. 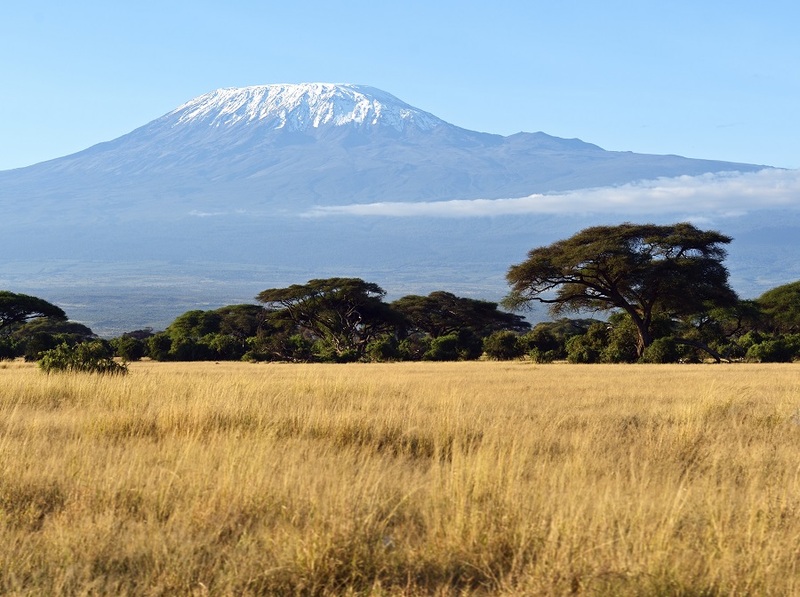 A volcano can be pretty isolated, think for instance of the Kilmanjaro. So you have the desert, and in the middle of it, the big mountain (maybe 4000m above the desert level). The city lies at the foot of the mountain. Location: It is now easier to locate the city from very far away. So the visitors that are coming only once per 100 years can find it. Because otherwise, tracks get erased pretty fast in the desert. Purpose: You could use the mountain to explain why people settled there in the first place: it’s a symbolic/religious/interesting landmark. Water: Even if it doesn’t rain in the desert, it might snow at higher altitude. The snow would then slowly melt and water would steadily irrigate the city and your lake. Food: Is it too warm to cultivate in the desert? Just go up a bit until you find the perfect climate for each type of crop. Volcanic soil is usually fertile. Economy: The volcanic rocks have a lot of other stones and metals to trade. Strategical: It’s a very good lookout, it might have a lot of caves to hide or to fortify. The caves can also be used to keep products at a relatively lower temperature. Energy: Geothermic energy might be used by a more advanced society to create large amount of energy. A more primitive society could simply benefit from hot springs for heating or bathing. Bonus: Caves that interconnect and create a hidden underground network are likely a bonus point for your plot. An eruption is also a fun event to consider for your plot. ...which they don't have in this situation. With extremely limited local resources, the food, water and fuel required to make this city run will have to come from somewhere. Trade is the usual answer but there is no trade in this scenario. If somehow this city were plopped down in the middle of those resources, the city would be dead or deserted in less than a year. There just isn't enough to go around. Unless there is something extremely valuable nearby such as minerals, gems, special spices (Dune's melange comes to mind), there's no reason for those people to stay. There's no money to be made from trade or by selling. Diplomatically, this city doesn't matter since it's approximately the width of the United States (NYC to LA is 2700 miles). Meetings that are supposed to happen every hundred years, won't. That's like me trying to keep an appointment for a certain day and time that my great grandfather made. Especially, when it will take at least a year for me to travel to where the other party might be...and neither of us get lost or starve in the process. Also, long distance navigation is difficult. Assuming a sand dessert, it's very easy to get lost. Sure, trade across the Sahara happened but there are also many stories of entire armies getting lost and dying. You want it to be a big city, you want it to be self-supporting, and you don't want to give it anything more than a lake and a few fruit trees. All three of these things can't be true at the same time! Certainly not without turning to advanced technology or magic of some sort. If you want it to support itself with medieval-level technology, then give it some nice farmland nearby, not just a few fruit trees. If you don't want to do that, then it has to be getting a constant stream of food and other supplies from somewhere else. Perhaps it's on a busy trade route, but then it needs nearby neighbours to trade with -- we aren't talking about a few pilgrims on a once-in-a-lifetime journey here, but huge trade caravans rumbling into and out of the city on a regular basis. And it still needs its own water source. Where is the water in the lake coming from? If the lake is the only source of water, then you need a lot of irrigation. But the lake is below the surrounding land, you need a pump and a lot of aqueducts. It's extremely difficult to pump enough water for agriculture without modern technology. 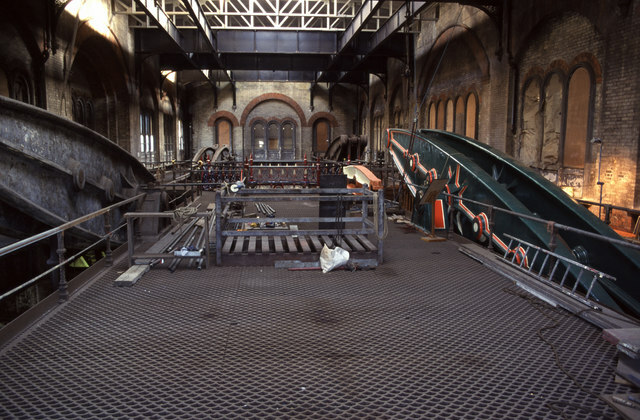 For example, at one point the Crossness Pumping Station used 4 enormous Cornish beam engines, and was able to lift 240 tons of water per minute, to a height of up to 40 feet. I like the Crossness station because it was originally steam powered, letting it operate with less sophisticated technology. "For example, the standard grass crop grown in a semi-arid climate with a mean temperature of 20°C needs approximately 6.5 mm of water per day. The same grass crop grown in a sub-humid climate with a mean temperature of 30°C needs some 7.5 mm of water per day." In practice we'd probably get a lot less due to sub-optimal crops, climate and land conditions. In other sites, I've seen figures of two people supported per acre, or roughly 250 people per square km. At any rate, we get 7.5 mm of water per day covering a square kilometer, giving us a water usage of 0.0075 m * 1,000 m * 1,000 m of water, or 7,500 tons of water per day. If we're powering our aqueducts with a Crossness Pumping Station equivalent, it would take about half an hour to provide that water. So we'd get around 48 square kilometers irrigated over the course of a day. So if you had something as good as the Crossness, that's roughly what you'd be looking at. Which brings us to our second problem: it's a desert, so there's no wood or fuel for our pump, or for cooking or anything else for that matter. 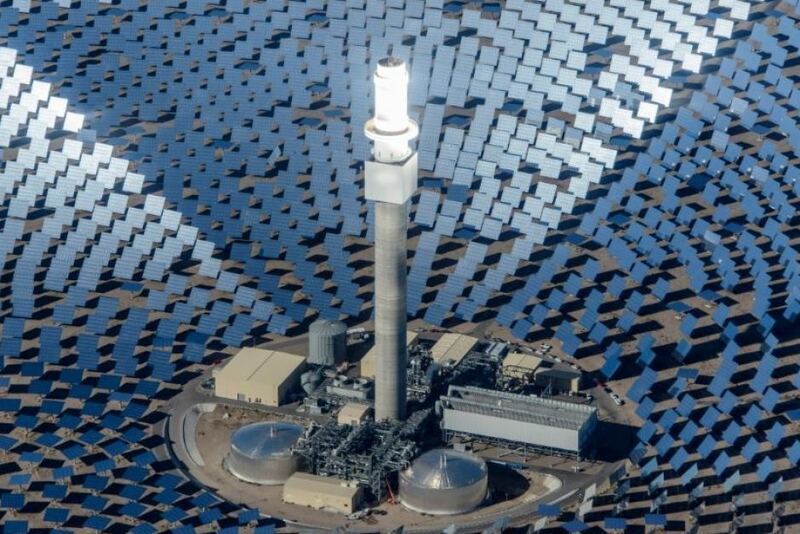 If you allow your city the technology for a concentrated solar plant, it could produce the steam needed to power the pumps. (Note that this would restrict the pumps to pumping only in the daylight, cutting your population to less than half) It might even be possible to create a solar smelter to smelt ores, which would let you produce another thing your city is lacking: metal. You'd still need to import a lot of things, but heat, food and metal go a long way towards making a city self-sustaining. Thanks to the scale, this is actually very easy. This is the Strait of Gibraltar in the middle of a 5000 miles stretch of land (the scale might be just only so slightly off). As you can see, Gibraltar can be of any size and support any population without any problems while also being the Trade Capital of (The Rest of) The World and providing access for your two countries (just make the strait narrower and put a bridge over it). "The Atlantic" and "The Mediterranean" can supply any resources without affecting any of those countries. And a tiny strip of mild climate around the city (less than a hundred miles) won't make travel across the desert much easier. Survival is possible but you need water. There are 3 additional ways to get water I can think of and only one is not completely crazy. Build a canal. It would be extremely long and difficult to build. Build an aqueduct. Still very costly. Pump underground water. Use the energy of the wind to power the pumps. It is not because you are in a desert that there can't be water underground. Maybe it hasn't always been a desert and there is a lot of water accumulated deeper in the ground. The agriculture in Saudi Arabia, Libya and other countries rely on underground water to survive. They would be able to survive and grow their own food. Would they thrive? Not really. Nobody will want to travel that far in the desert to trade. Without trade, the city can't specialize in any kind of goods (food or industry) because survival (food production) will be the number one priority. That and maintaining their water infrastructure. Unless the city has trade in some other direction and the meeting between the two nations is just an incidental thing that has nothing to do with the life of the city itself, it won't exist. The road certainly won't exist: if it's used only every 100 years, it will be buried relatively quickly. The main issue you're going to have is the traveling. Someone going 2500 miles on foot is going to take, assuming there's no issues that pop up, maybe 10 miles a day, so 250 days. But it it's a desert and there's no regular traffic, then there's low probability of having sources of resupply along the way (how do they know if an oasis is still there?). That means they need to carry their supplies with them. Assuming they're human, they'll need about two liters of water per day just to survive and stay healthy. So ignoring the extra needed due to walking (which could easily double the amount they need) and the weight of a container, each person will need about half a tonne of water (500 liters) to be carried with them. Then there's the food, their luggage, and what the animals need on top of that. For comparison, the trans-Saharan camel caravans, which would be the closest equivalent, only took 40 days and depended on regularly-maintained wells in order to do it. The Silk Road when it crossed deserts detoured to communities built around water sources and had regular traffic. Clearly there is something different about this city. The city and its inhabitants are qualitatively different from the countries on the coasts and the people who live in them. The city is by itself in the middle of nowhere. The city does not involve itself in the meeting, or in huge international crises. I am reminded of Lovecraft's Nameless City. Remote in the desert of Araby lies the nameless city, crumbling and inarticulate, its low walls nearly hidden by the sands of uncounted ages. It must have been thus before the first stones of Memphis were laid, and while the bricks of Babylon were yet unbaked. There is no legend so old as to give it a name, or to recall that it was ever alive; but it is told of in whispers around campfires and muttered about by grandams in the tents of sheiks, so that all the tribes shun it without wholly knowing why. This creepy city (go ahead, read about it!) 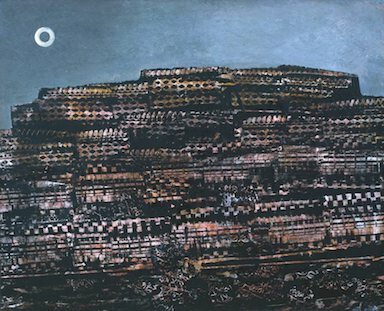 was built by a prehuman race - the narrator of the story runs across their remains, as well as other things. But what if they still lived there? What if they received him as a guest? The inhabitants of the Nameless City were freaky but really (as in some of Lovecraft's best stories) they were just a different sort of people - they had their own culture, their own ways. Probably they did no harm to people, because there were no people in their time. But what if they lived into our time? The city is the last of its kind, and the race that lives there the vestige of an empire which once spanned the continent. These are a gentle, austere and somewhat forbidding people. Their ancient city thrives for reasons not obvious to the casual (and always short-term) visitor. The "people" of the Nameless City are hospitable enough to travelers, but are uninterested in the doings of the outside world. And how big is the Nameless City, exactly? How far down does it go? If for a work of fiction, that would be enough. If you need to get into the weeds and have blueprints and biology, you can make this race and their city different enough that the environment you want to have in this area is enough to let them thrive. The city has to exist for some reason between 100-year meetings. One conceivable reason to have a city in such an inhospitable place is resource extraction; something that's seen many times over on real Earth. 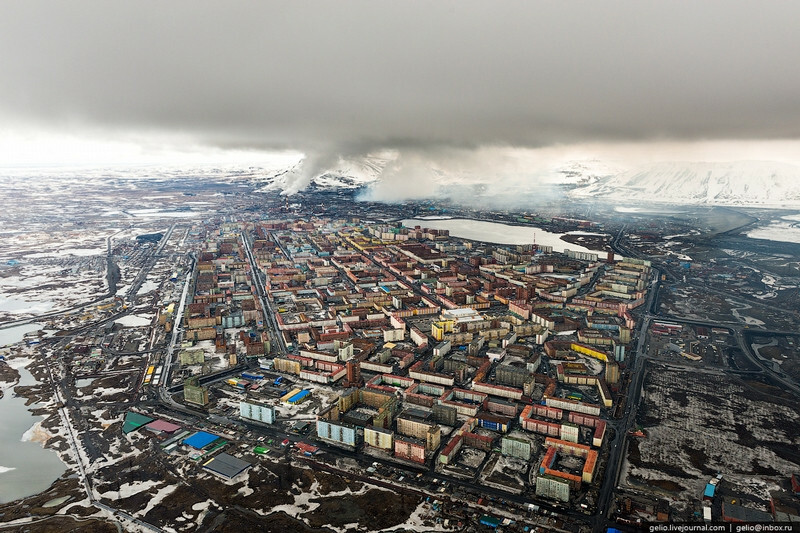 Norilsk has an extremely harsh subarctic climate (Köppen Dfc), and is covered with snow for about 250–270 days a year, with snow storms for about 110–130 days. Yet people live there because there is nickel and palladium. What can you mine in a desert? Some mineral deposits are formed, improved, or preserved by geologic processes that occur in arid lands as a consequence of climate. Ground water leaches ore minerals and redeposits them in zones near the water table. This leaching process concentrates these minerals as ore that can be mined. Of the 15 major types of mineral deposits in the Western Hemisphere formed by action of ground water, 13 occur in deserts. Some examples of those resources are gypsum, salts, and copper. You could tweak it to be almost anything, depending on your setting. Hell, it could even be an meteorite deposit. This city can then trade its mineral resources with the two countries and any other polities that might exist. Other industries can spring up to support mining and trade. After all, you only stipulated that the two distant countries don't have regular contact, not that Desert City doesn't have regular contact. It could also grow rich charging large lodging taxes for pilgrims and other merchants. These answers cover a large range of how the city survives and seem to solve the problems as needed. I am just adding what I see missing which is why it survives. The town between city A and city B survives based on its location. This is the reason it exists despite all the difficulties. The first thing that should be built, besides survival shelter, is a large sign. On one side it states "You are half way to A. Take a rest." and on the other side it says "You are half way to B. Take a rest." This middle town itself serves as an improvement to each of the other towns by facilitating their accessibility. Not the answer you're looking for? 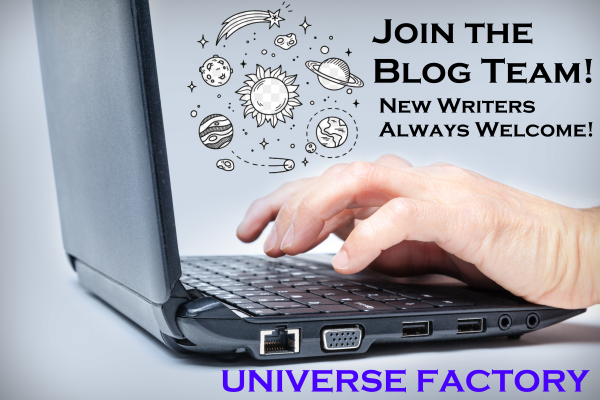 Browse other questions tagged reality-check survival exploration natural-growth or ask your own question. How long can New York City survive under a Dome? Is it possible for a large pre-electricity empire to stay in touch? How far would I need to go back in time to find an isolated island on our earth? Could a giant floating self-supporting city survive a thousand year voyage? How old do surviving children need to be to keep human civilization from failing?